The Project Diagnostics team emerged the big winners from the 2006 Queensland Professional Excellence in Building Awards at a gala dinner in Brisbane on Friday, 26 May. Project Diagnostics won the coveted Research & Development category, which was awarded to Construction Innovation Project Leader John Tsoukas of Arup. Construction Innovation also received recognition for the assistance it afforded John and his team: Chris Evans, John Collins, Mike Swainston, Adrian Moreyand Daniyal Mian. "This is wonderful news for the Project Diagnostics team," said Construction Innovation CEO, Dr Keith Hampson. "The tool itself is also a fantastic example of the benefits our research is achieving for the entire property, design, construction and facility management sector." 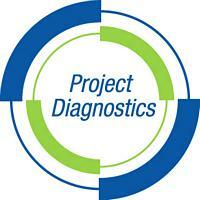 Project Diagnostics is a world-first diagnostic software tool that improves project delivery and outcomes. The software identifies areas of poor project health, then establishes probable root causes and provides suggested remedial measures. As a state award winner, Project Diagnostics is now in the running for the national award, due to be announced at a dinner during AIB's 'Construct 2006' conference on the Gold Coast from 28 to 30 September. In other news, DesignCheck is also a finalist in the 2006 New South Wales Professional Excellence in Building Awards, set to be announced in early July. Good luck to Lan Ding and her team. Congratulations to Construction Innovation chair, John McCarthy, who was awarded honorary life membership to the Facility Management Association of Australia at its annual conference in Canberra on 1 June. The award was presented by the Parliamentary Secretary to the Minister for Industry, Tourism and Resources, Bob Baldwin, who isa registered builder and strong supporter of the industry. "John has been a dedicated and energetic Chairman of the Implementation Board of the Facility Management Action Agenda, and his work as chair of the CRC for Construction Innovation has also been widely influential," Mr Baldwin said. Mr Baldwin also commended the work of the Action Agenda board, saying "Facility Management (FM) is an important national industry, directly accounting for$8.6 billion of Australia's gross domestic product (GDP) and employing more than 135,000 people. "With 20 recommendations arising from the Managing the Built Environment: Facility Management Action Agenda, their successful implementation will ensure recognition of the contributionFM makes to Australian workplaces, as well as the growth of a sustainable and internationally competitive Australian FM sector."